Why use videos for language teaching? Video is everywhere—people watch over 1 billion hours of video each day on YouTube alone—and the range of video content is huge: movies, TV shows, academic lectures, news segments, personal vlogs, music videos, how-to’s, cartoons, stand-up comedy—the list goes on. Language teachers are naturally interested in using video because it provides auditory and visual input that can help facilitate language learning. The attention-grabbing quality of video in particular also makes it a good medium for increasing student engagement. However, not all videos are well-suited to classroom use, and simply pressing play will not give students the full benefit that can be derived from a video. Developing listening comprehension skills is one of the main uses of videos in the language classroom, but they can also serve as prompts for class discussion or texts to be analyzed for linguistic and cultural content. 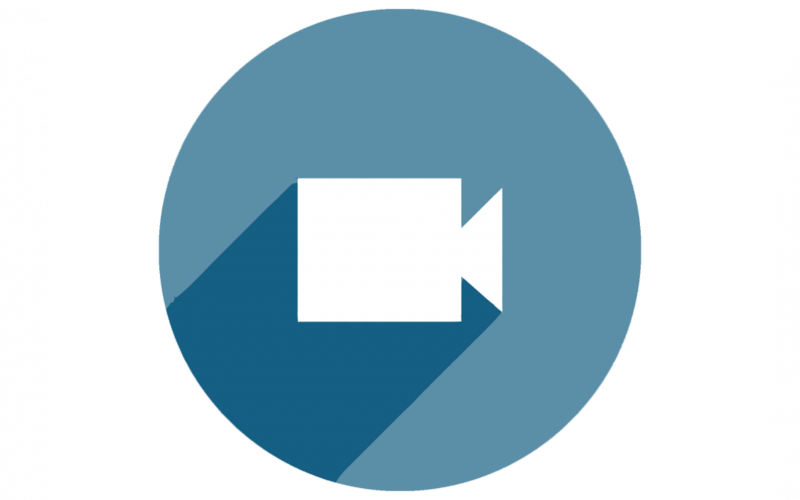 Indeed, the pedagogical strategies used for written texts in the language classroom also apply to video materials, whether originally created for native speakers or designed specifically for language learning. And like any other text, a video can be a rich source of linguistic and cultural input for language learners if they are provided with appropriate scaffolding. It is important to identify the goals for using a particular video: Is it meant to reinforce material the students recently learned? To introduce new material? Are there particular cultural elements that need to be highlighted and discussed? Having specific goals in mind will help determine what support students should be given before watching the video and what activities they should do after each viewing. Before viewing the video, use a warm-up activity to activate relevant vocabulary that students will need to understand the video. Students should view the video multiple times so that they can catch things they miss at first or pay attention to different aspects of the video. Consider turning the sound off for the first viewing so that students can discuss the visual elements. Choose some aspect of the video to ask students to look for so that they can focus their attention. For in-class videos, prepare questions to discuss in small groups or as a whole class. For videos watched outside of class, bring them back to class for discussion and to focus on short clips. You might also consider having students discuss the video on an online discussion board. For close watching when you want to focus on particular expressions or gestures, consider an in-video quiz. If you are interested in this function, contact academictech@uchicago.edu. The question of how best to use authentic materials in language teaching is not limited to video, but rather touches every type of text that a language instructor brings into the classroom. Before approaching the topic, it’s worth pointing out that even defining what we mean by “authenticity” is difficult—how do we determine what language use is “real”? In a review article on the topic, Gilmore (2007) points out: “Authenticity doesn’t necessarily mean ‘good’, just as contrivance doesn’t necessarily mean ‘bad’ (Widdowson 1979, 2003; Clarke 1989; Cook 2001).” Rather “than chasing our tails in pointless debate over authenticity versus contrivance,” Gilmore suggests, “we should focus instead on learning aims” (italics are small-caps in original). Indeed, there can be compelling reasons to use contrived materials, especially for students at the novice or intermediate levels for whom most authentic materials may be too difficult. On the other hand, authentic materials give students the chance to practice interacting with real-life language use and can be a rich source for talking about the target culture. If difficulty is a concern, one suggestion reiterated by many researchers and educators is to “adjust the task, not the text” (see, e.g. this video from the Center for Open Educational Resources & Language Learning [COERLL]). Students need not understand every word spoken in a video to benefit from it. They can pay attention to key phrases, non-linguistic elements such as body language, or describe what they see. Additionally, learning to cope with incomplete comprehension is an important linguistic skill, and something that native speakers do every day (Gilmore, 2007, p. 109). What makes a good pedagogical video? Is the visual content essential to complete understanding? Does the visual content facilitate comprehension of text? Can the visuals stand alone without text? Indeed, making use of the visual content of a video is a key part of using video successfully in the classroom. You might even show the video once or twice with the sound muted before turning the audio on to give students a chance to talk about characters, setting, mood, body language, and so on. It’s also important to choose video content that is interesting and well-produced, in order to keep students’ attention. High-quality audio is especially valuable because it allows students to focus on the content without getting frustrated about not being able to hear. Where is the video located? A file on your computer, a DVD, a website like YouTube or Vimeo, Canvas? If it is online, are you connected to University wi-fi? If you’re using your laptop, do you have the right ports or adapters to use the projector and speakers? Adapters can be checked out from the TechBar in Regenstein Library. How do the speakers work in the classroom? Where are the volume control and mute button? The Audio-Visual Services team provides support with using classroom media equipment, and can also help with digitizing content. Contact avs@uchicago.edu to set up a consultation. If you have a video file on your computer, there are multiple ways to share it with your students via Canvas. One way is to simply upload the file and add it to a module. However, it is often preferable to include the video in a Content Page, which allows you to provide explanatory text or instructions. Note that video files are often quite large, and there is a limit to how much material you can store in your Canvas site. If you have a large number of videos, or if you want to be able to easily use the same videos from year to year across different courses, we recommend using a video management site such as Kaltura. If your video is hosted online on a site such as YouTube, it is generally best to embed the video in a Content Page, although you can also simply add the link to Modules. Clark, D. (1989) “Communicative Theory and Its Influence on Materials Production.” Language Teaching 22.2, 73-86. Cook, G. (2001) “‘The Philosopher Pulled the Lower Jaw of the Hen.’ Ludicrous Invented Sentences in Language Teaching.” Applied Linguistics 22.3, 366-387. Widdowson, H.G. (1979) Explorations in Applied Linguistics 1. Oxford: Oxford University Press. Widdowson, H.G. (2003) Defining Issues in English Language Teaching. Oxford: Oxford University Press. Video is a valuable and possibly underused classroom tool. There is always the temptation to simply put a video on at the end of term and let our students watch a film without even challenging them to be actively involved.